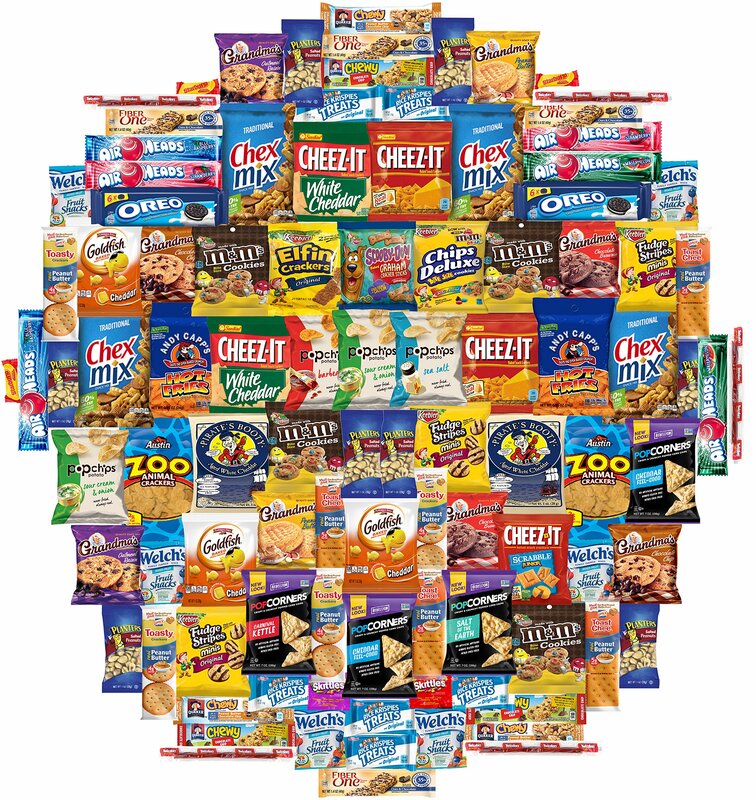 THE WAY TO A MAN'S HEART, IS THROUGH HIS STOMACH - Fill that stomach with some of the manliest snacks you can find on the market. 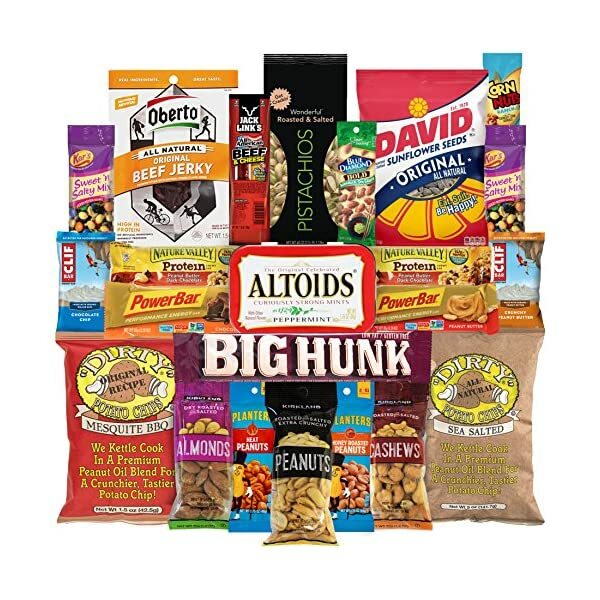 This snack kit is filled with delicious manly treats full of nuts, protein, and best of all, MEAT! 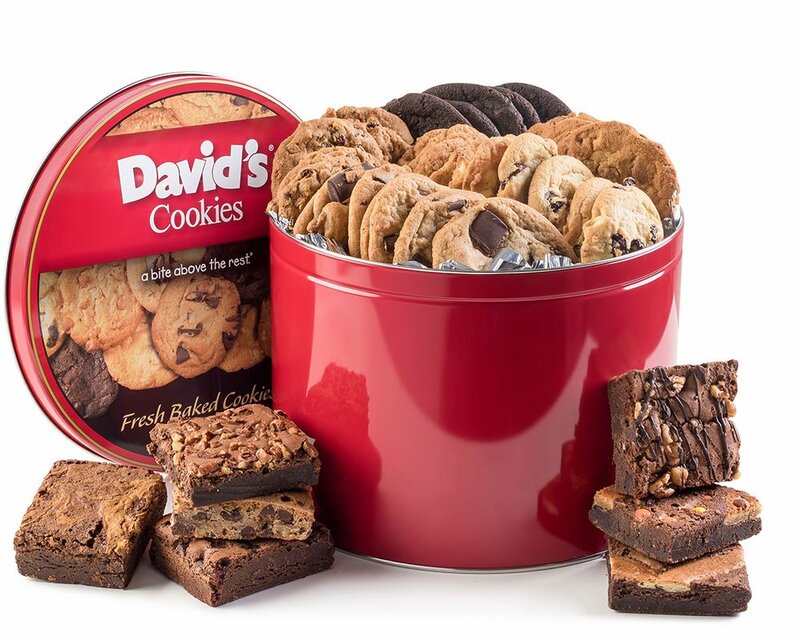 Don't let your favorite man in your life get hangry and get him the gift you know he will love. Perfect complement to a six pack of beer, watching the big game, tailgating or a great addition to the Man Cave! ULTIMATE GIFT FOR ANY MAN - This is it, the greatest gift ever made for a DAD. Not since the invention of the wheel has there been something that has excited men more. 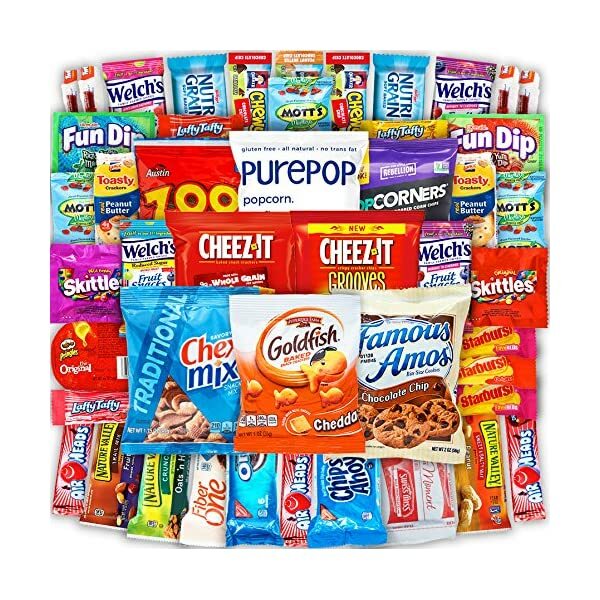 Men LOVE to eat so get them something that gives them some variety. They will love you for it because there is nothing worse to a man than wanting something to snack on, and only have carrots in the fridge. CARE PACKAGE FOR EVERYONE! 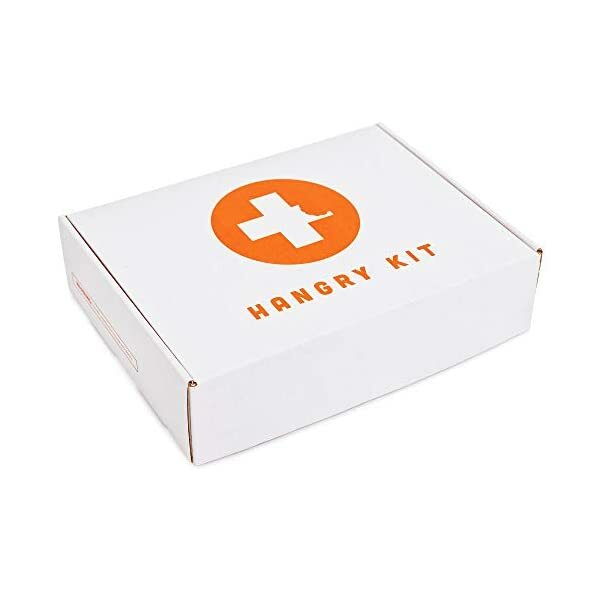 - Students, teens, men, women, moms, kids, bosses, teachers, military and many more people could use a hangry kit. Take it on the plane, train or on the road. 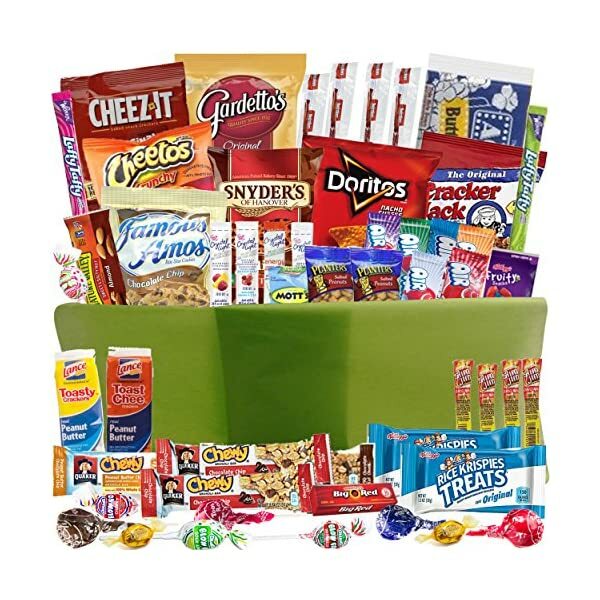 Filled with over 20 of the most popular, top shelf brand name snacks, it will be the gift that anyone would want to get. 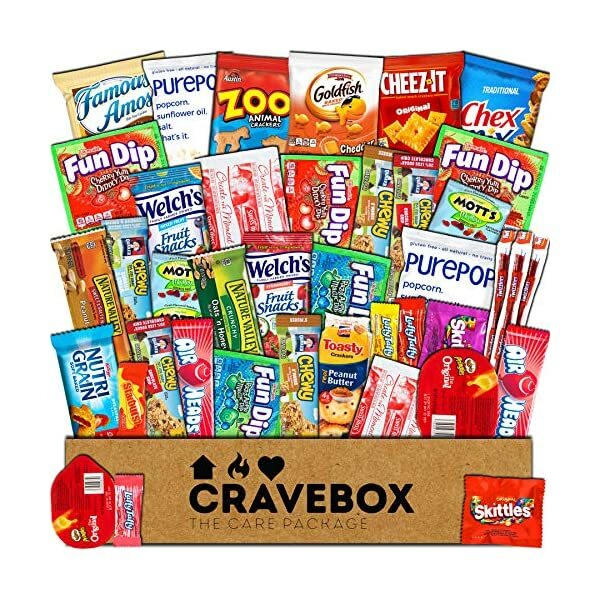 Bring a smile to their faces with this unique, one of a kind Hangry Kit. 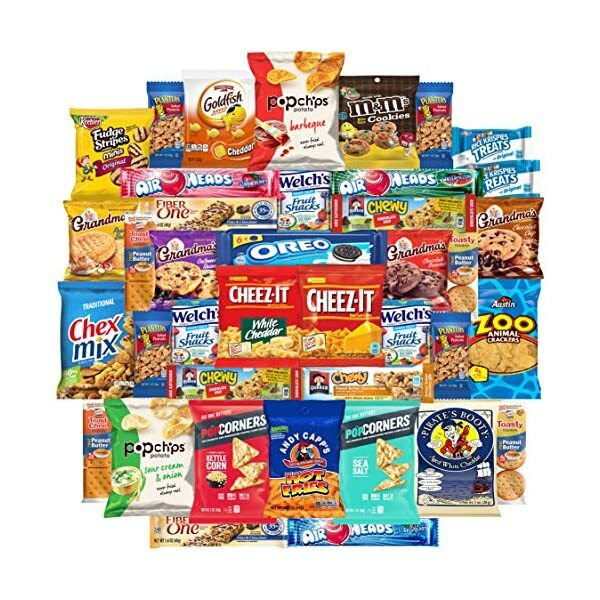 Mega Snacks (50 Count) Variety Care Package Gift Box – College Students, Military, Work or Home – Over 3 Pounds of Snacks! 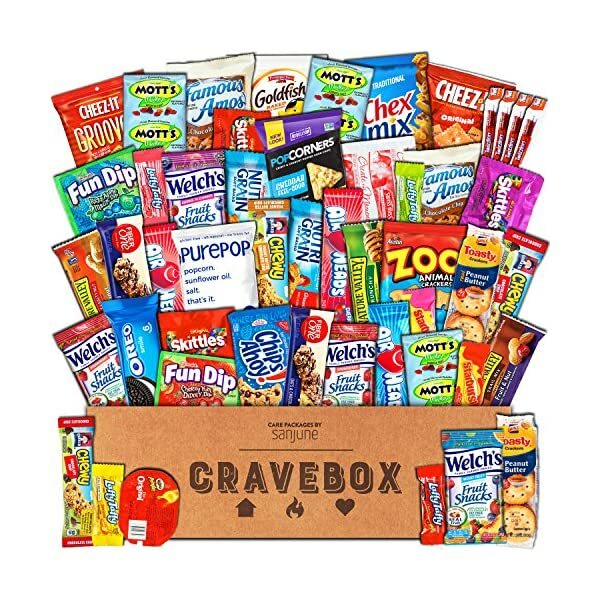 BETTER BRANDED SNACKS: The Mega Snacks Variety Care Package Gift Box from Mr. Snackbox (formerly Prime Samplers) contains a variety of 50 better-branded individually wrapped snacks. 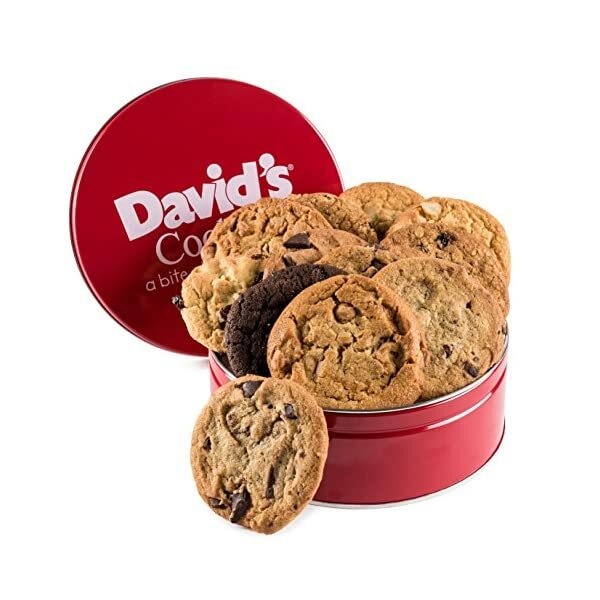 Sweet, salty, crunchy, chewy - it contains a mixture sure to please anyone. PACKED WITH PRIDE: Carefully packed in our crush-resistant box (with a built-in handle) to ensure a smooth journey to your doorstep. Our box measures 14.75" x 11.75" x 3.75". 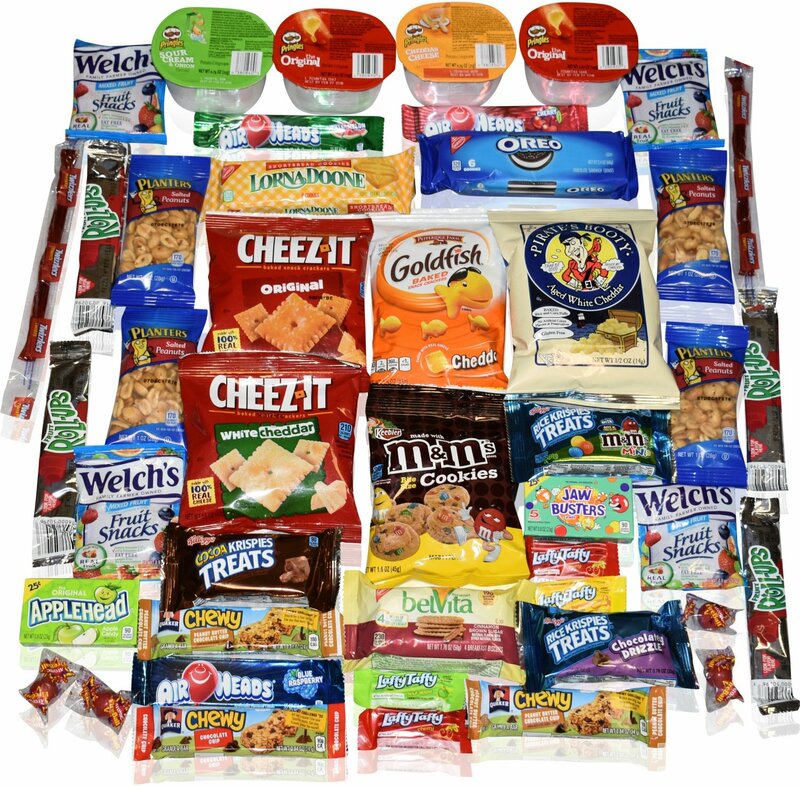 All snacks are hand packed in a Mr. Snackbox box (not a manufacturer's box) but still in the individual product's original wrapper or bag. 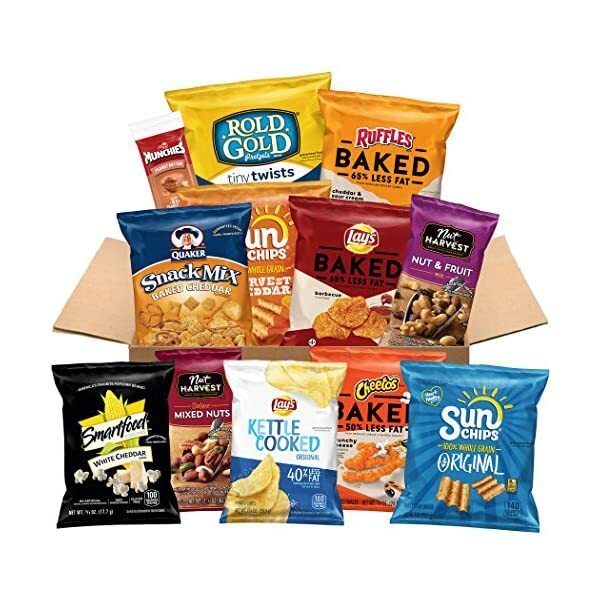 FRESHNESS GUARANTEED: We guarantee your snacks will arrive within at least 45 days of their expiration. Additionally, the earliest expiration date is clearly labeled on the outside of each box. 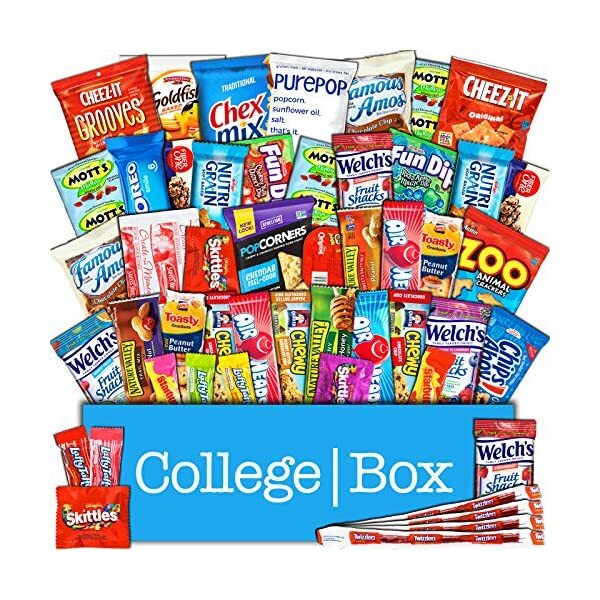 Snack Variety Care Package Gift Box (40 Count) – College Students, Military, Work or Home – Over 3 Pounds of Snacks! 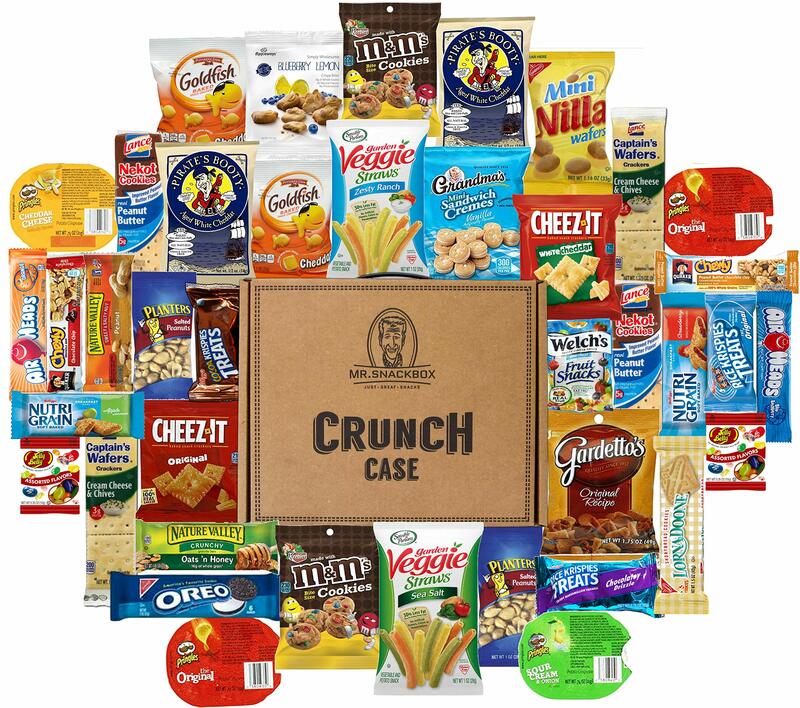 BETTER BRANDED SNACKS: Our Crunch Case Snack Variety Care Package Gift Box from Mr. Snackbox (formerly Prime Samplers) contains a variety of 40 better-branded individually wrapped snacks. Sweet, salty, crunchy, chewy - it contains a mixture sure to please anyone. PACKED WITH PRIDE: Carefully packed in our handled, crush-resistant brief case themed box to ensure a smooth journey to your doorstep. Our box measures 14.75" x 11.875" x 3.75". 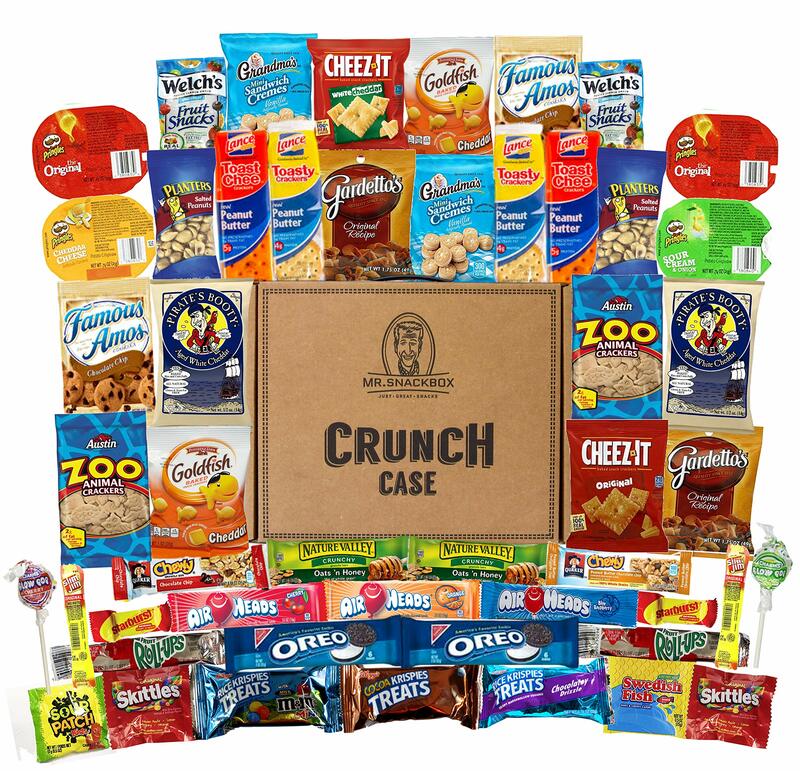 All snacks are hand packed in a Mr. Snackbox box (not a manufacturer's box) but still in the individual product's original wrapper or bag.